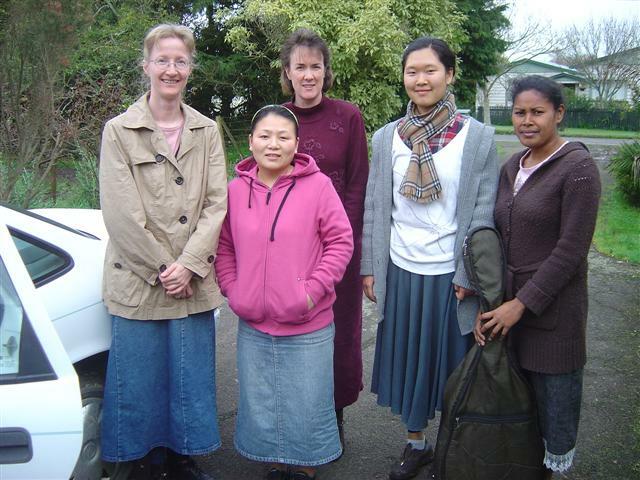 Establishing Christian schools in other countries. 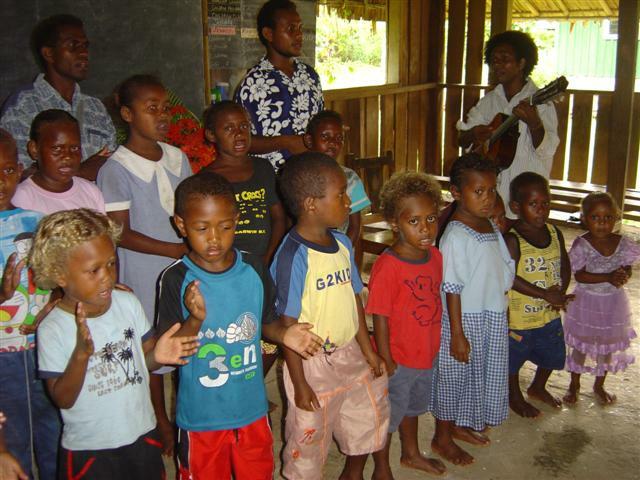 Our church has set up sixteen Christian schools in the Solomon Islands, on the island of Malaita, starting in 2000. This has involved traveling to small villages in the hills and conducting training for two weeks every January and July until 2008. Our school continued providing the ACE curriculum until 2010, and now it is the village’s responsibility to provide the curriculum, put up the school building, and meet the needs of the teachers. Since 2013 we have had a married couple on Malaita, resident in Auki, and running a small school there that caters for senior pupils. They also make periodic trips to the schools in the north and south of Auki, and run teacher training for villages that want to start a Christian school. 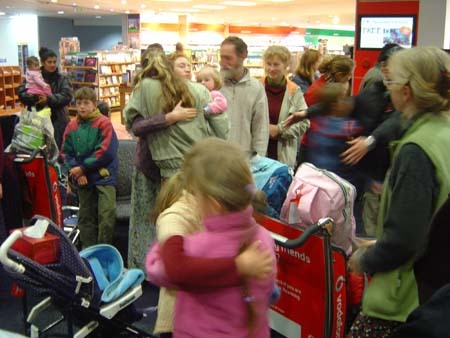 Here we are farewelling a family at the airport on their way to help in South Korea. We usually have at least one German student staying with us here in Drury. Sometimes a whole family will come to stay for a time to train, and experience life in a community Church. We usually have several adult students from South Korea in our school, and sometimes whole families come. 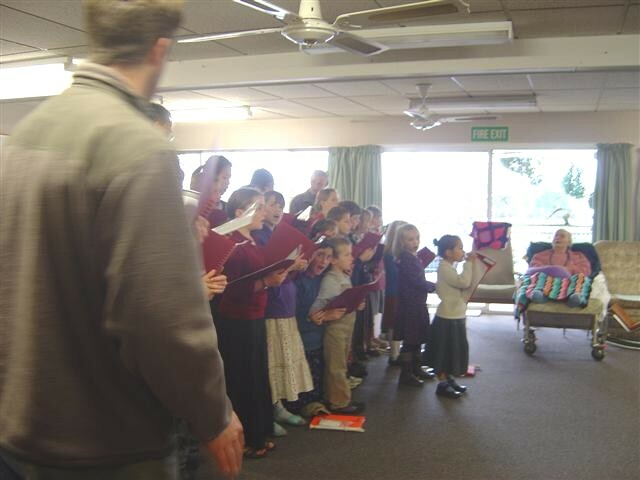 If there is one thing that cheers up elderly folk it is children singing! We have five of our men who are trained to enter one of New Zealand’s maximum security prisons for a Sunday morning meeting with the inmates. We send a team to a local primary school each week to take a half hour Bible study, singing and activity time. This is to help the young children see the relevance of the Bible in their lives, and to help them to find salvation in our Lord Jesus Christ.